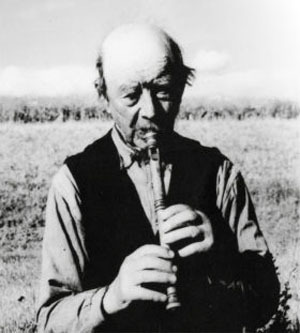 And while the pre-history and proto history of Old Europe is anything but certain, there is always a though that the mighty Celts, whose DNA has been traced to the silt of Lake Geneva long before it was discovered in Ireland and Scotland… And then there is the music of Olof Jönsson (1867-1953) and Jonas Jönsson (1864-1951) – but principally the multitude of music – found amid the 45,000 pages left behind in the (Swedish) Folk Music Commission; music its legendary creator left behind for performance on his beloved instrument the härjedalspipa. 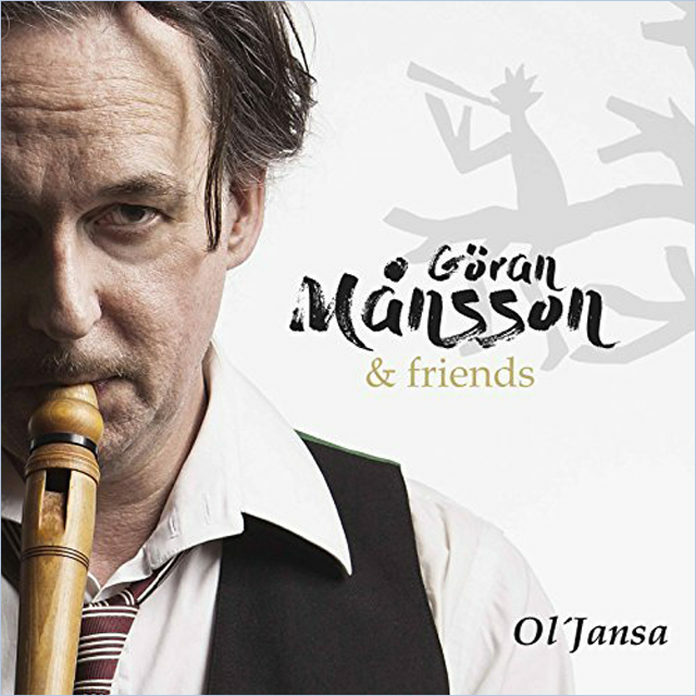 And even if we do go back to the source, what a wonderful way to remember Ol’Jansa than with his music – and more – performed by perhaps the finest exponent of that (and other) period flutes and recorders than Göran Månsson? And just to follow the argument of a world musical topography we are treated to a melding of harmonics between the Swedish pipes and the Japanese koto in seamless music-making that only strengthens all suggestions of a musical continuum amid a peripatetic, ever-blurring artistic diaspora. Nevertheless even if there were others, one would be hard-pressed to find a better way to remember Ol’Jansa and make his music ever-present in the very contemporary-ness of the musical continuum that we will all eventually inhabit. And marveling at the majesty of Mr. Månsson’s virtuosity one would be remiss if one did not recognise the masterful playing of Emma Ek Ahlberg – especially on fiddle – as well as Patrik Källström on pump organ among other things and the enormous contribution of Martin Von Schmalensee beyond the world of the contrabass.